One of the world's oldest writing systems comes from ancient Egypt. Developed over 5000 years ago, it uses hundreds of the picture-like symbols which we call hieroglyphics. When I first saw hieroglyphics in a museum as a child I was absolutely fascinated. They were so exquisitely beautiful. Each individual symbol was like a miniature work of art, and the wonderful pictures of objects, people and animals created thousands of years ago still seemed incredibly vibrant and alive. I was therefore not surprised to learn that hieroglyphics held a special place in Egyptian society. They were considered sacred writing and used only by the priests. Produced with painstaking attention to detail, they were painted or carved on the walls of temples, in the tombs of the pharaohs, and on public monuments and obelisks or stelae from around 3000 BC until approximately 400 A.D. But all civilizations eventually fall, and the decline of Egyptian civilization began when Egypt became a Roman province in 30 B.C. The conquering Romans were fascinated with the ancient culture that they encountered on the Nile, and especially with Egyptian religion and the veneration of the mother goddess Isis. But this fascination ended under the emperor Theodosius I, who ruled the empire from 379 to 395 A.D.
Theodosius made Christianity the official religion of the empire. He forbade pagan worship and destroyed temples throughout his realm. In Egypt Theodosius destroyed not only the temples but also the pagan hieroglyphs which were publicly displayed on stelae. When Christian priests replaced pagan priests, knowledge of how to read the sacred hieroglyphs was lost. The stones of destroyed temples and stelae were reused in new construction and this great civilization was forgotten. In the centuries that followed Arabic and European scholars attempted to decipher hieroglyphics without success. Arabic scholars achieved some success by the ninth century AD. It had been assumed that hieroglyphs were simply picture writing. However, Arab scholars realized that they were used to represent sounds, and this realization enabled the alchemist Abu Bakr Ahmad Ibn Wahshiyah to decipher some of the ancient writing. However, the progress of Arab scholars was unknown in Europe, where hieroglyphs remained an enigma until the Rosetta Stone was discovered in 1799. The Rosetta Stone was discovered by Napoleon's expeditionary army, which had been sent to Rashid (Rosetta) to rebuild the fort there. In the rubble of the old fort troops discovered a chunk of an old Egyptian stela. Its inscription was carved in three different languages, classical Greek, hieroglyphics and Demotic, the writing system of ordinary Egyptians. The Stone was sent to Alexandria along with other artifacts collected by the French. When the French surrendered to the British after the siege of Alexandria, one condition of their surrender was that French give all the artifacts they had collected to the British Crown. The Stone was taken to England in 1802 and King George III placed it in the British Museum, where it remains today. Because scholars could read Greek, they realized that the Rosetta Stone might aid them to decipher hieroglyphics. A year after the Stone arrived in England, Hubert-Pascal Ameilhon published a translation of the Greek text into Latin and French. The Rosetta Stone displayed a copy of a decree from the council of Egyptian priests issued in 196 BC. following the coronation of the pharaoh Ptolemy V. The text pledges that the priests will honor Ptolemy for his good deeds and gifts to the temples. This must have been an incredibly significant decree because it orders copies to be placed in every Egyptian temple. A translation of the full text can be found on the British Museum Website. he polymath Thomas Young (1773-1829) — physicist, physiologist, physician and polyglot, among several other things — became hooked on the scripts and languages of ancient Egypt in 1814, the year he began to decipher the Rosetta Stone. He continued to study the hieroglyphic and demotic scripts with variable intensity for the rest of his life, literally until his dying day. The challenge of being the first modern to read the writing of what appeared then to be the oldest civilization in the world — far older than the classical civilization of Young’s beloved Greeks — was irresistible to a man who was as equally gifted in languages, ancient and contemporary, as he was in science. He himself described his Egyptian obsession as being driven by “an attempt to unveil the mystery, in which Egyptian literature has been involved for nearly twenty centuries.” His epitaph in London’s Westminster Abbey states, accurately enough, that Young was the man who “first penetrated the obscurity which had veiled for ages the hieroglyphics of Egypt” — even if it was the linguist and archaeologist Jean-François Champollion (1790-1832) who in the end would enjoy the glory of being the first actually to read the hieroglyphs in 1822-23. - See more at: http://blog.oup.com/2012/07/who-deciphered-egyptian-hieroglyph/#sthash.WmXJI1is.dpufAssuming that the other two scripts contained the identical text, then it might appear that the Stone could be used to crack hieroglyphs. Scholars now had to find a way to use their understanding of the Greek inscription to crack the hieroglyphic code. The way into the code was through cartouches, groups of symbols which seemed particularly important because they were surrounded by an oval line. In 1814 the English scholar Thomas Young matched glyphs within cartouches with the names of the pharoah Ptolemy and his queen Berenika in the Greek translation. This enabled him to assign the sounds represented by the Greek letters to symbols within the cartouches. The challenge now was to decipher a writing system which represented an unknown language. In the same way that Latin changed and developed into Italian, the Egyptian language had evolved into Coptic. This was no longer a living language because it had been replaced by Arabic in the eleventh century. However, it was still used in the Coptic Church and was understood by some European scholar, including Jean-Francois Champollion. By combining his knowledge of Coptic with Young's approach to analyzing cartouches, Champollion assigned phonetic values to additional glyphs. Over the course of the next twenty years he gradually deciphered the entire text, and published his translation in 1822. Using the knowledge of hieroglyphics gained from decoding the Rosetta Stone, Champollion continued studying other Egyptian texts. 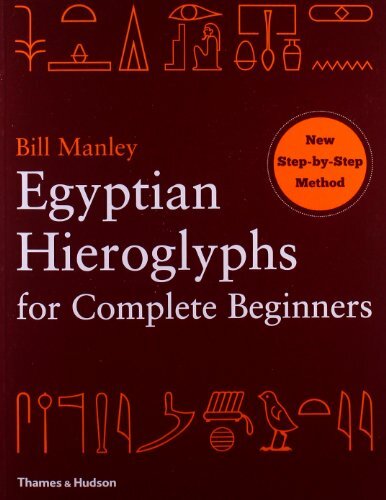 He developed a hieroglyphic dictionary and grammar, which were published after his death. Champollion also discovered that hieroglyphics are incredibly complex. The same word can be written in different ways because while many glyphs represented single sounds, others represented groups of letters. This is also a writing system which can be read in different directions depending on the placement of the symbols. Hieroglyphics were also used for a sophisticated decimal number system which enabled Egyptians to become master mathematicians, engineers, architects, chemists, and astronomers. For thousands of years, Egyptian monuments gave silent testimony to a great but mysterious ancient civilization. By making it possible for scholars to read Ancient Egyptian the Rosetta Stone enabled that ancient civilization to speak again. You know, this fascinates me that hieroglyphs also represented sounds. I find it extremely difficult to find the words to convey a sound (like a bird call, for example). Great piece, thanks for the education. Very good article and an interesting article. I never get sick of reading about the ancient Egyptian history. Thanks for stopping by, goody, and I'm glad you enjoyed the article.